Steve's broad, multidisciplinary experience produced results across a range of technologies and businesses. The following links provide a sample. Editor and writer for over one third of the content. Steve specified and, in many cases, either managed development of or documented the following development or evaluation boards. The next three application notes first appeared as chapters in The Programmable Gate Array Design Handbook, Xilinx, First Edition, 1986. The following application note also appeared in the Intel Memory Design Handbook, 1986. Session organizer for Tutorial 2A: Getting Your FPGA Application Up and Running, author and speaker for "Test Tools and Equipment" portion. Steve has 14 patents issued to date, with other filings in progress at the U.S. Patent and Trademark Office. Managed logo creation, developed site look and feel, and wrote portions of the content. Although embarrassingly simple by today's standard, this project was one of the early attempts at web-based customer training. Originally, these answer records were part of a larger KnowledgeBase.net customer self-support website. This website helped customers using Triscend E5 or A7 silicon devices and the Triscend FastChip development system. Multifunction Embedded DSP Block for iCE40 ultra-low-power FPGAs (SB_MAC16). Architected and specified a compact design supporting 350 MHz+ performance while fitting within the existing contraints of the iCE65/iCE40 block and interconnect structure. Supports 16x16 or 2x8x8 mutliplies, 32- or 2x16-bit add/subtract/accumulate, 32- or 2x16-bit variable-modulo, preloadable up/down binary counters, comparators, multiplexers, etc. Now in full production as part of the Lattice Semiconductor iCE40 Ultra low-power FPGA product family. Cascadable Embedded Block RAM Columns. Architected and specified a cascadable interconnect structure to create selectable memory arrays based on a segmented column of 256x16 embedded RAM blocks. Reduces interrconnect congestion and improves system performance. Now in full production as part of the SiliconBlue/Lattice Semiconductor iCE40 product families. 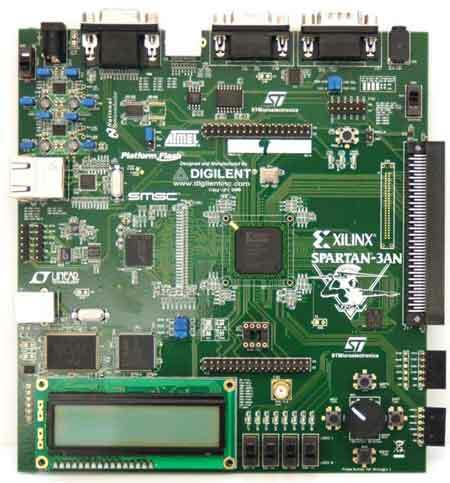 FPD-Link Display Interface for iCE40 and iCE65 FPGAs. Developed high-speed 7-to-1 serializers using FPGA logic in iCE40 and iCE65 FPGAs. Careful layout and deep architectural knowlege was required for maximum performance. Created an 6:6:6 and 8:8:8 FPD-link flat-panel interface in Verilog. Created a graphics timing generator to drive various displays. 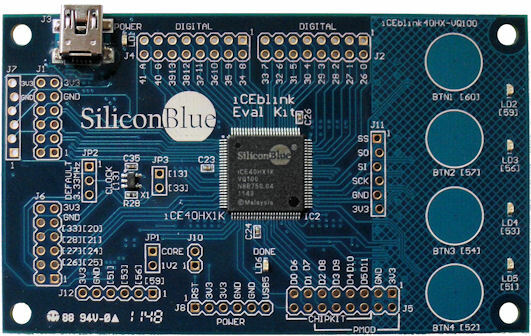 Eventually, drove an 18-bit-per-color (6:6:8) 1,366x768 flat-panel display using existing 5Mpixel camera IP to create a live-action demonstration on the SiliconBlue iCE40HX and Lattice Semicondutor iCEman40HX engineering boards. 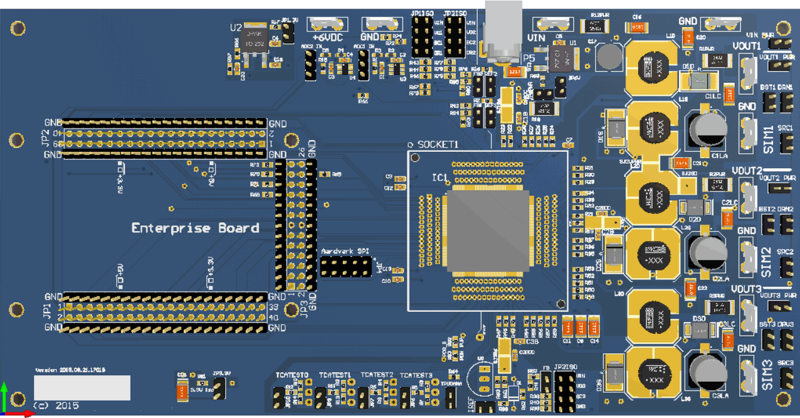 FPGA-based GSM A-bis Cell-Phone Traffic Optimizer. 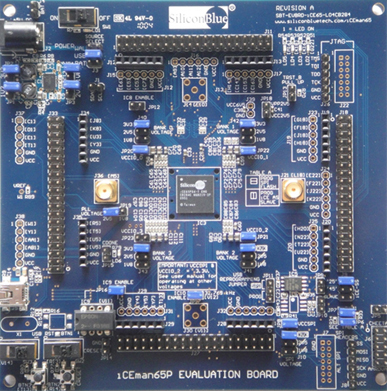 With Engage Communication, developed low-level architecture to compress and process up to 512 simultaneous EFR and ER full-rate GSM conversions (TRAU slots) using a single Spartan-3A FPGA. 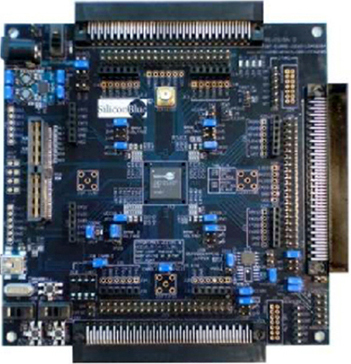 The design heavily utilizes time-division-multiplexing (TDM) techniques to reduce FPGA resources. The context for each of the 512 channels is stored within the FPGA's block RAM. The design and testbenches were created in Verilog and additonal hardware testing performed using a GSM traffic emulator and recorded call traffic. 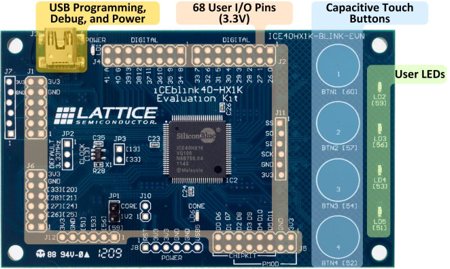 Capacitive Touch Buttons and Virtual Hardware for Low-Cost Evaluation Board. 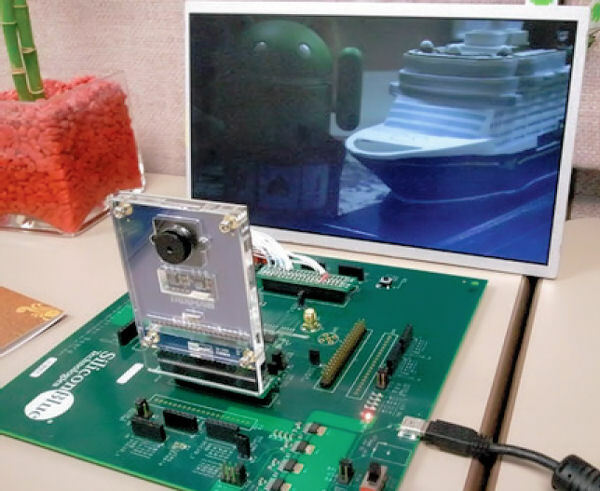 To reduce cost on a low-cost "bare-bones" FPGA development board, toggle and pushbutton switches were eliminated and replaced with capacitive touch buttons controlled by FPGA hardware. Each of the capacitive touch buttons has an associated resistor plus the capacitor created by the touch button pad itself. Touching a button increases the total capacitance of the button and lenghtens its associated RC delay. The FPGA circuit measures and discriminates between a touched and untouched button. Similarly, other board I/O functions are replaced--including buttons, switches, LEDs, and values--by a computer connected to the board's USB programming, power, and debugging connector. A logic function built in the FPGA and software running on the PC translates the virtual I/O values into real values on the FPGA board. The design is described in more detail, including the associated Verilog code, here. The article describes the Triscend SupportCenter web-based technical support system designed and created by Steve Knapp in association with SafeHarbor Technology and KnowledgeBase.net. 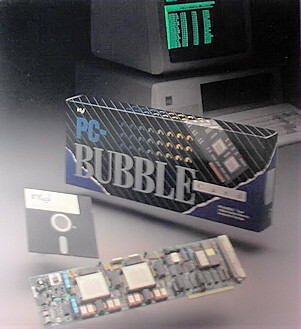 Although Steve did not format or compile the material for this manual, he provided major portions of the material. He was the overall architect and manager for the X-BLOX project.